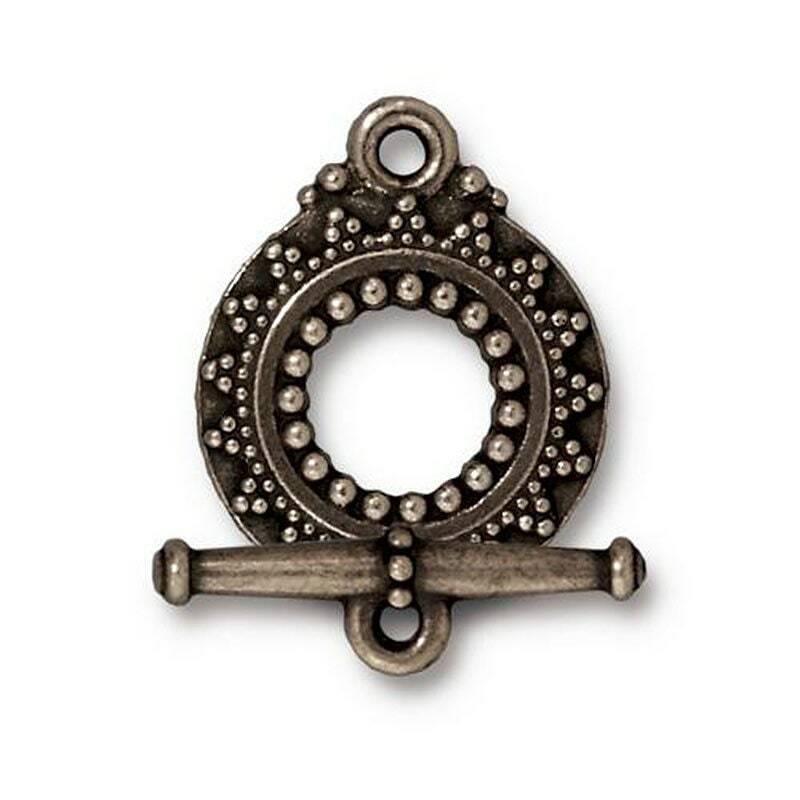 1 TierraCast antique Brass plated Bali toggle clasp. These are gorgeous vintage style clasps! Exactly what I was looking for! Shipped quickly.